After receiving the Es’hail 2 satellite QO-100 with a standard LNB on an offset dish some days ago there was the need to get the RF compontents a little more stable with regarads to frequency. 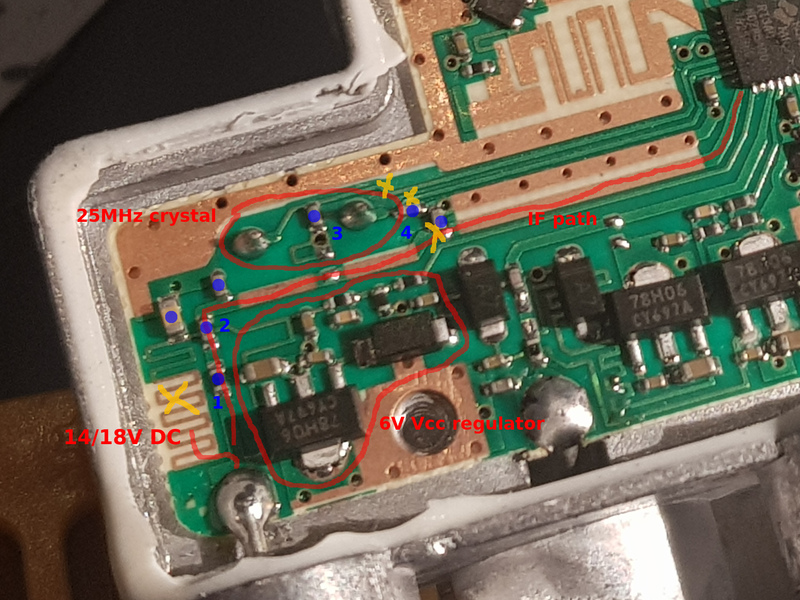 We used a standard LNB with PLL technique which resulted in several kHz drift during listening to SSB QSOs. During resarch I found a nice article on the BATC Wiki () which basically outlined modifying the LNB so that an external reference frequency can be used. After having a look into my spare parts box I found all necessary stuff in SMD. So this is my write-up about changing one output port of an Octagon quad LNB for external reference. During experimenting with USB soundcard devices based on cm108 chips I discovered that a squelch signal on the GPIO inputs of the sound chip does trigger a keyboard event as if one pressed the “volume down” key. Depending on the system configuration that can lead to your default sound card being muted. 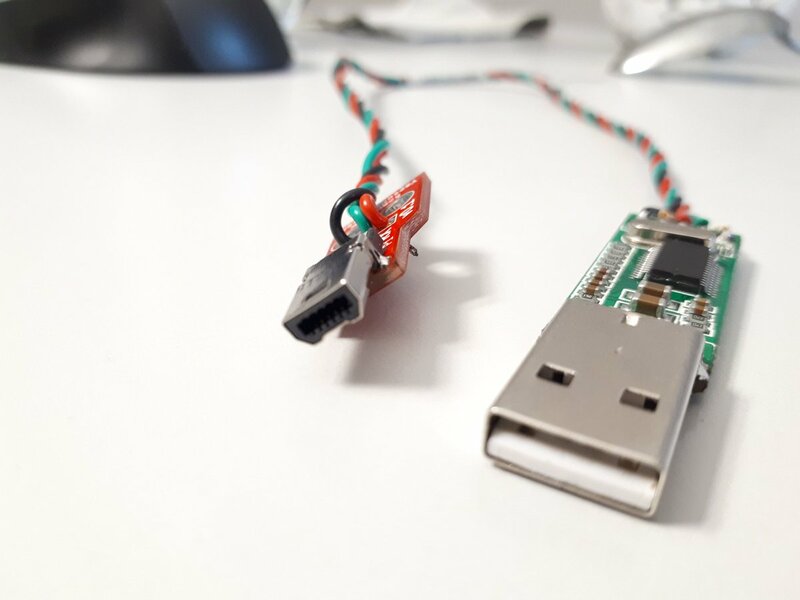 In my case I was running UniPager as DAPNET client to the pager network in combination with a self made USB sound device with GPIO-controlled PTT. If you just want to exlude the emulated volume down key press event you can remap this button press event from the emulated keyboard using an udev hwdb config directive. To achieve this you have to know the keyscan code of the button being emulated. This value can then be remapped or ignored. 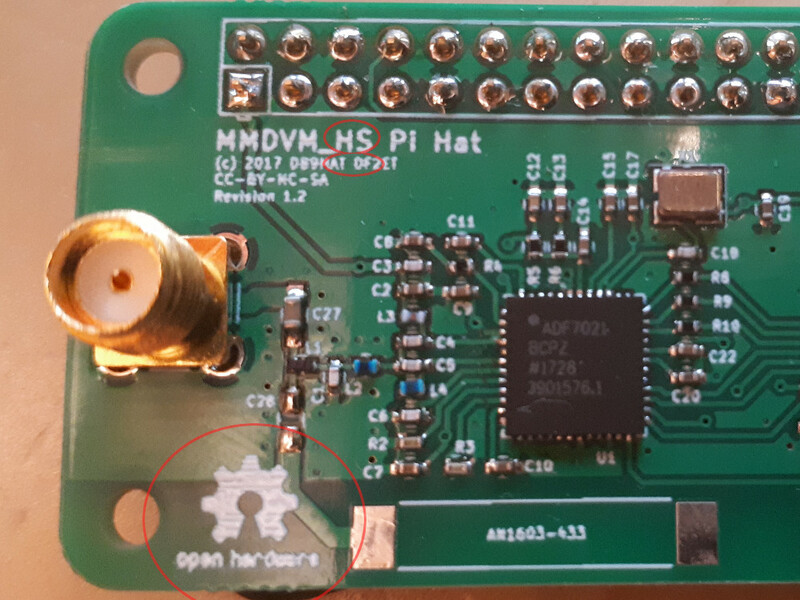 With the integration of POCSAG/DAPNET features into the MMDVM/MMDVMHost I came to think about if it would be possible to combine an MMDVM repeater/HotSpot with a DAPNET tranmitter. The advantage in Germany is that there is a single coordinated frequency for POCSAG tranmissions on UHF. 439.9875MHz is used for fixed-frequency pagers which are modified to receive on that frequency. With latest hand-programmable pagers (e.g. AlphaPoc) it would basically be possible to set them to the repeater frequency but that wouldn’t work while one is en route. In the programming software for Motorola GM3x0 radios I found an interesting GPIO setting called “Channel Steering”. Some line of the help function revealed that it would exactly do what I expected. You can trigger a GPIO and the radio switches channels. 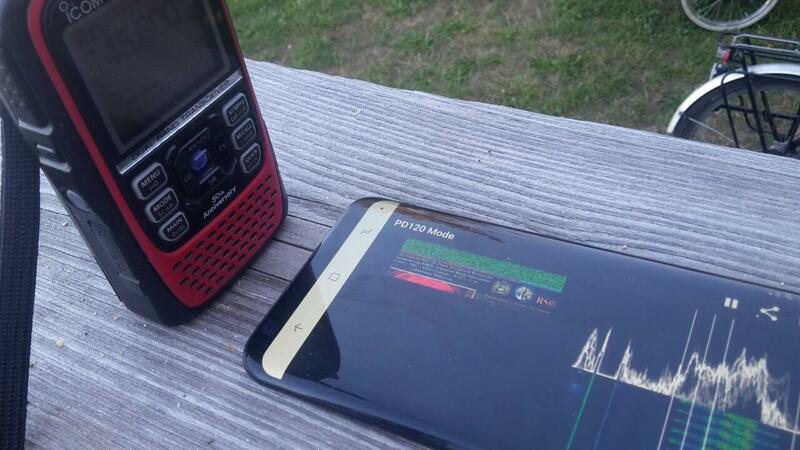 This years holiday I took my ICOM ID-51 for some portable activities in D-Star. Luckily there also were some announcements of SSTV acitiviy as well as school contacts from the ISS and also a weather balloon start from Minden Germany. As space was limited I had to deal with the radio and my mobile. 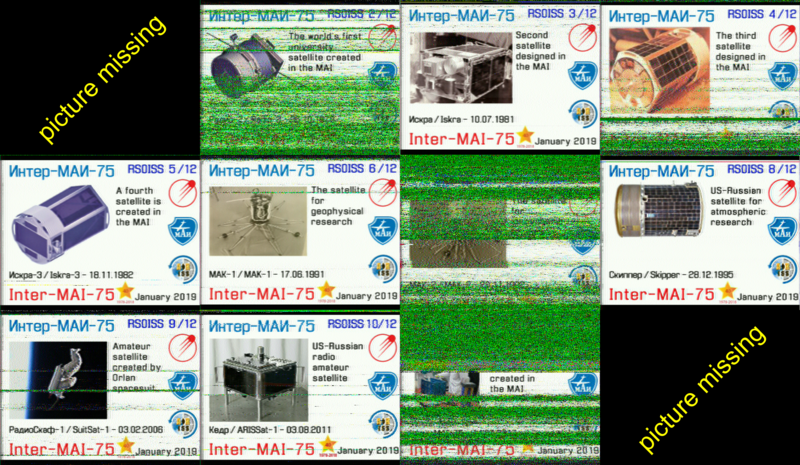 SSTV decoding went quite fine using the Android app Robot36. Audio was loosely coupled to the built-in microphone of the mobile. Basically it was just standing a few centimeters besides the mobile. It seems like Kenwood uses totally different terminology to refer to configuration items in their radio programming software. This is my memo for various options that I discovered why program&try :). I use the radio in NXDN, P25 and DMR modes (and FM as well). Apparently the radio can only use two of the Digital Voice modes at a time. That means you can use P25+DMR or DMR+NXDN or NXDN+P25 in a codeplug but not all three. I you need to switch you have to write another codeplug. Pure FM is always available independantly of the DV modes. 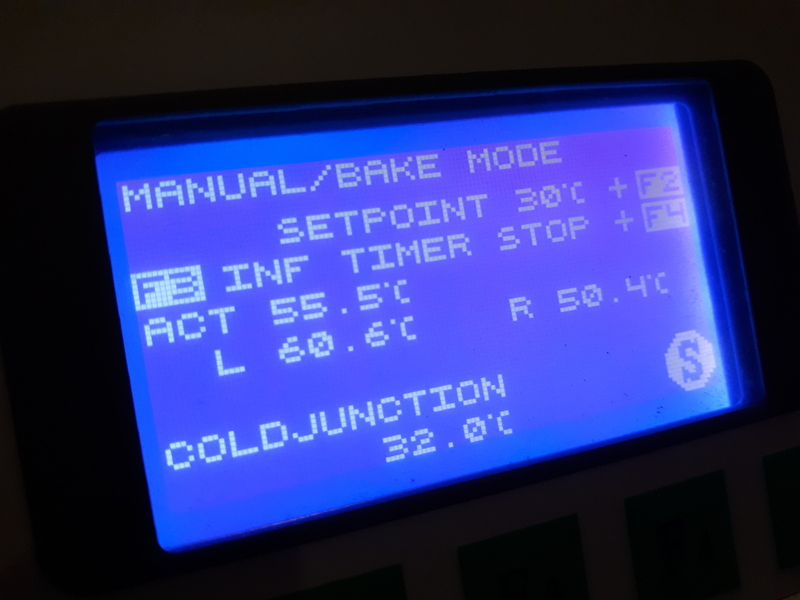 For the latest MMDVM_HS_Hat project by me and Mathis, DB9MAT I arranged for a reflow oven model T-962 which is a good assistant for SMD soldering work. As per Toufik, F0DEI there were some interesting modifications to make in order to improve the results as well as to get rid of smelly evaporations. There is a famous article on hackaday (See ). It was the reason to open up the unit and get some improvements done. In order to support this there is a nice YT video  describing the mods in detail. 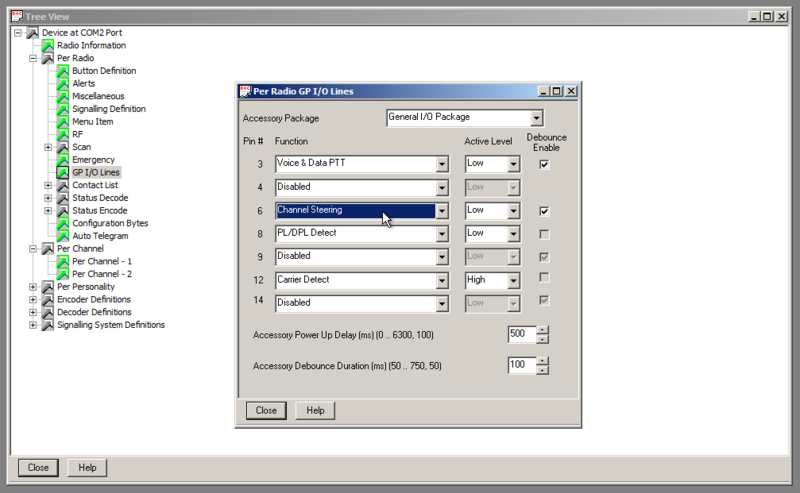 For the upcoming AMBEd daemon needed by XLX reflector software there is a need to connect an FTDI USB-serial adapter without using the default ftdi_sio kernel module. Instead the software makes use of the D2XX drivers by FTDI. This driver is available as binary only from FTDI’s website. The problem with Linux operating systems is that it loads the ftdi_sio driver by default. One option is to blacklist that module. The drawback is that also all other FT232 based USB-serial adapters will also not work anymore. In my case I had some other devices that had to use the ftdi_sio driver while the AMBE device should not. So blacklisting the whole driver is not an option.